Bash Boggle - A Boggle Solver Written in Bash! Bash is my favorite computer language. I also love writing programs to help human problems. Why Bash? Yea it is not as fast as C, not as terse as Perl, not as elegant as Python, bla bla bla. But Bash is Fun, and it is good to keep the skills sharp. I think I will port it to python next just for the practice. The board format is pretty flexible. As long as there is some sort of whitespace in between the letters, it will work. It is also case insensitive. 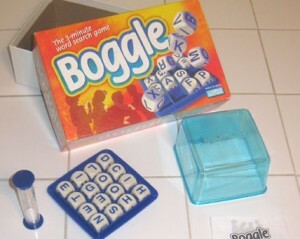 For test boggle problems I used this online Boggle site.